could alibabauni.com partnerships become the greatest open university of race to sustain humanity (translating UN 17 goals , everyone's projects) around an EWTP? Do you have time to imagine what a world of 3.5 billion fully employed and employable youth can bring if inspired by China's invitation to celebrate Hangzhou Consensus? 300 business representatives of the G20 countries met last 17 April at the headquarters of the International Monetary Fund (IMF) in Washington DC. This meeting, coinciding with the annual Spring Meetings of the IMF and the World Bank, was the first B20 China Joint Taskforce Meeting. ChinaEU is honored to be a member of B20, which stands for the business representation in the G20 meeting preparatory process. 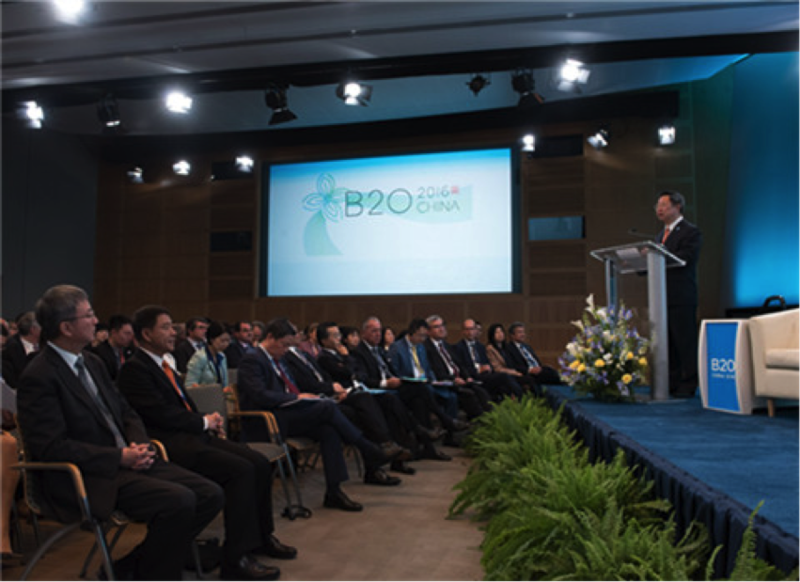 The B20 group discusses policy recommendations for the world economic governance that will be submitted to the heads of state of the G20 countries when they meet in in Hangzhou, China, on 4–5 September 2016. Several strategic recommendations are being considered, among which stands the proposal of setting up an Electronic World Trade Platform (e-WTP). The most notable recommendation discussed in the SME Development Taskforce is the proposal to set up an eWTP. The idea of an eWTP (Electronic World Trade Platform) was originally launched by Jack Ma, Executive Chairman of Alibaba Group and also Chair of the SME Development Taskforce, at Boao Forum (to read Ma Yun’s full speech in Chinese, please click here) in March this year. The platform will facilitate SMEs’ development and integrate public-private dialogue on e-commerce trading modes. The key goal of eWTP is to promote ‘inclusive’ trade. Inclusive trade refers to reducing the threshold effect, faced by SMEs to participate in cross-border e-trade. The WTP will provide SMEs a transparent and open platform to sell their goods and services globally. The Washington B20 session opened with a positive note from the IMF, who showed strong confidence in China’s economic growth. Deputy Managing Director Zhu Min admitted that the world economy is facing downgrade with a growth rate at 3.2%, a decrease of two percentage points compared to the IMF’s previous forecast. Government debt has especially become a serious issue, increasing by 42% in two years to reach 106%. Despite the global economic challenges, China’s growth rate was instead upgraded from 6.3% to 6.5%, showing signs of stabilization and recovery, according to both Zhu and Ma Jun, Chief Economist of People’s Bank of China. Business leaders and economists commented on the role of B20 and G20 in restructuring the global economy. A few words were spent also on the leadership of China, which this September will chair the G20 meeting in Hangzhou, headquarters of e-commerce giant Alibaba. Frank Ning, Chair of Trade & Investment Taskforce and Chairman of Sinochem, proposed that G20 can play a bigger role in rebalancing world economy by bringing more real exchange of goods, accelerating technology and innovation, as well as giving more value to manufacturers, instead of focusing too much on finance. Dimitris Tsitsigaros, Vice President of IFC, Global Client Services believed that G20 should also play a role in promoting regional integration, reducing protectionism, improving access to global value chain and upgrading the global financial infrastructure. As Ren Hongbin, Chair of Infrastructure Taskforce and Chairman of China National Machinery Industry Corporation, pointed out that, to mitigate current economic challenges, reform in infrastructure is key, which is also one of the few areas identified by IMF reports as having potential to deliver strong productive gains across all kinds of countries. Green investment and financial inclusion involving private sector players were among the hottest issues discussed. 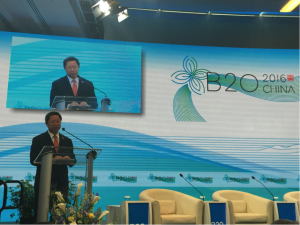 China is believed to make a successful leader of B20 as well as G20 to deliver favorable results in addressing global challenges, given its infrastructure-oriented One Belt One Road Initiative and the profound structural reform undergoing in the country. 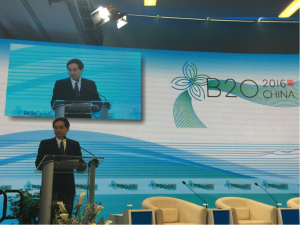 The B20 has set up five taskforces, namely Financing Growth, Trade & Investment, Infrastructure, SME Development and Employment, to brainstorm on the most appropriate policy recommendations to make to the G20 government leaders. The taskforces met close-door to agree on the scope and drafting of these key business recommendations. 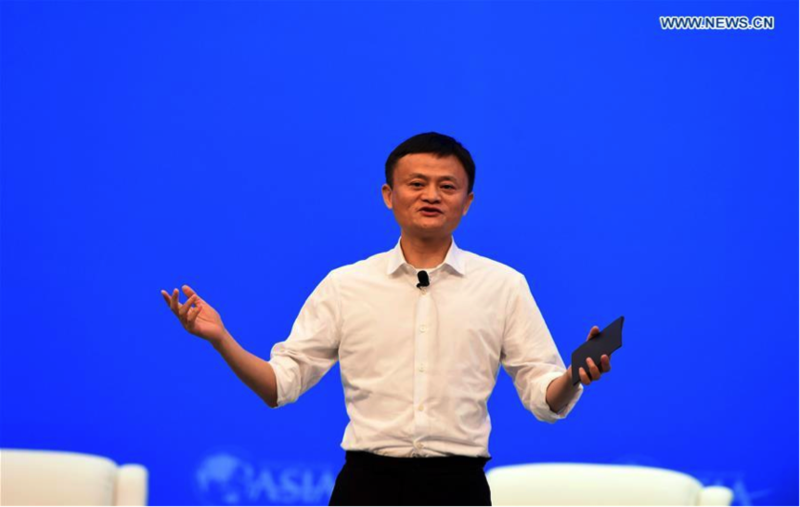 AliBaba shows how tech can boost inclusivity. Its been 740 years since Hangzhou reigned as the world’s most important city. AliBaba has changed Hangzhou and changed China. But to grasp the full extent of that change, world leaders should venture out from Hangzhou and visit some of China’s smallest, poorest and most remote rural villages. Here AliBaba’s impact is the most transformational. AliBaba has made a special effort to bring the benefits and convenience of online trading to China’s rural families – the 45% of China’s population that still live on the land. Its impossible to overstate the importance of this effort. Ecommerce now offers the fastest and most durable way to improve living standards in China’s countryside. By getting online, farmers can shop more widely and buy more cheaply a vast range of products never before available in rural China. In addition, they can sell directly their farm products, both fresh and packaged, to tens of millions of customers living in cities across China. Alibaba is paying for tens of thousands of “Village Taobao” centres across China. Here, farmers can get free help to buy and sell online. Nowhere else on the planet is ecommerce being as successfully introduced into the lives of small village farmers. The world should take note, and China should take pride. As world leaders discuss trade, fostering innovation, and eradicating poverty, we should all wish them well. Meanwhile AliBaba is busy putting such talk into action. Its efforts provide concrete proof of how tech innovation can be inclusive and helpful to all of society.